We are all Canucks, and right now, we are all feeling the pain. The Canuck image, reputation and brand, has been tarnished & humiliated. This could arguably be the lowest point of its 44-year existence in the NHL, perhaps much lower than the Stanley Cup collapse in 2011. When did it all go wrong? Many pundits would think that it started right after the Canucks lost in Game Seven to Boston. But in my opinion, the freefall started earlier than that, about twenty years ago after the Canucks lost in Game Seven to the New York Rangers. Before his death prior to the start of the 1994 Playoffs, Canucks owner Frank Griffiths ran a steady ship. The Canucks made two trips to the Stanley Cup Final under his watch, the first one being in 1982. Frank’s son Arthur Griffiths sold the Canucks to John McCaw & the Orca Bay Sports & Entertainment in 1997. 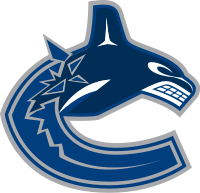 In my opinion, the Orca Bay “Regime” was truly the start of the Canucks’ longstanding free-fall with their brand. Under Burke, the Canucks didn’t fare well as fans had expected. The team had a serious dry spell under Messier’s watch, with no appearances in the post-season. Things eventually improved under Markus Naslund’s leadership, and they managed to grab first place in the Northwest Division on more than one occasion. In the playoffs however, the Canucks couldn’t advance past the second round. For six seasons and one lockout, fans could only watch in constant disappointment. But then came Todd Bertuzzi/Steve Moore Incident. As a result, Bertuzzi was suspended for a long time, is currently facing a class-action lawsuit by Moore, and Naslund was never the same. The West Coast Express was broken up when Bertuzzi was traded for Roberto Luongo. The trade meant that the Canucks had a solid first-rate goalie not seen since Kirk McLean. And after falling short of making the playoffs in 2006, Coach Crawford was replaced by Alain Vigneault. Despite these drastic changes, the Canucks still couldn’t get past the second round. Do we need to revisit 2010-11? Do we need to revisit the early exit in 2012 and 2013? With the firing of Mike Gillis and the introduction of Trevor Linden as President of Hockey Operations all in the same week, you have to wonder what’s next for this tarnished hockey club. Why would he join a dysfunctional organization that had scorned him on several occasions? It’s going to take more than him to regain the trust of many season ticket holders and disgruntled fans. Back where he belongs? You be the judge. Another concern is why would the Aquilini’s go after a legendary Canuck who by the way was doing well for himself in his retirement years but has no front office experience. Does this sound familiar? Comparing him to Boston’s Cam Neely is like comparing apples to oranges. Neely learned inside the front office after his retirement, and worked his way up to President to turn his Bruins into Stanley Cup contenders. Thanks in part to GM Peter Chiarelli, the Bruins have managed to make the Stanley Cup Finals twice in the past three seasons. And they have just captured the Presidents Trophy in 2014, heading into the postseason as Cup favorites once again. Was the hiring of Linden as President a desperate PR move? The Aquilini’s won’t admit that, but for the sake of Linden, let’s hope he can get the help he needs to make the Vancouver Canucks relevant again. I wish Mr. Linden the best of luck in pulling the Canucks out of current laughing stock of the NHL.